Last evening, I decided to take a quick swing through the high school Religious Ed classrooms just to say, "Hello." As luck would have it, one of the teachers was unable to get to class last night and so I became the last minute--unprepared--substitute for the Ninth Grade girls' class. Initially, I tried discovering what last week's discussion was all about. But, I felt a bit like I was trying to extract top secret information from well-trained spies. They were not going to be forced into revealing too much. I did manage to discover that they've been talking about, "the Bible." So, we launched into a discussion about Reason and Divine Revelation. Before too long, we were going through some of the traditional arguments for the existence of God and how we can arrive at these things through the use of our reason. If you walked by our classroom last night, you would have seen some ridiculous looking drawings on the whiteboard surrounded by terms such as, "contingent being," and "unmoved mover." Their silence moved towards engagement and, quite honestly, I had a blast. There's a scene in one of the gospels when Jesus goes off from the crowd for some time to pray. He's been teaching and healing for hours and you have the sense that he needed to "get away" and pray. No sooner does he go off to pray than some of his disciples come and find him. It's one of those times in the gospels that the disciples speak words that are far more profound than they actually intend. They tell Jesus, "Everybody is looking for you." Truer words have never been spoken. Everybody is looking for Jesus. Whether they know it or not, everybody is looking for Jesus. Everybody needs him. Everybody is pining for him. A parish priest makes present Christ the Good Shepherd in the midst of his flock. That's why the priest exists. And so, when we think about our lives as priests, we have to be thinking about imitating the life of the Good Shepherd. Part of the Good Shepherd's life was that he was constantly sought after and constantly busy. Yes, he went off to pray. But, the people kept looking for him. In many ways, Jesus' pastoral plan seemed a bit disorganized, chaotic, and unrealistic. During his major events, there were possessed people screaming, not enough food for the crowds, and some serious safety hazards--like people cutting holes in roofs to get close to him. Jesus' mission was to be close to the people. Sometimes priests spend way too much time attempting to organize priesthood into a well-oiled machine. These attempts seem to be designed to have priests spending less and less time with the people they were sent to serve. We spend countless hours planning ourselves out of existence. In the future, it is said, we won't have time to hear confessions, visit the sick, or spend time with the youth. But, we are told, this will enable us to be more efficient and better able to provide pastoral care. What are we talking about??? I sometimes think of mothers of small children. They must continually feel like, "Everybody is looking for you." Kids are crying, hungry, hurt, distraught, bored, stuck, in danger, and to every one of these needs, children can think of one answer, "Mommy!." Now, no matter how organized a woman might be, there is no way she is going to organize her household in such a way that her children will cease to demand her presence. Why? Because it is in the nature of things for it to be this way. Imagine if we heard a mother say, "No, I've organized my household in such a way that my children no longer seek me out for anything. I have to limit myself to providing only the most necessary things like meals and emergency care. Beyond that, I have to know my limits." We'd not be recommending her for "Mother of the Year." Similarly, it is in the very nature of parish priesthood that people are looking for us. They look for us for the Sacraments, for well-prepared preaching, for visiting the sick and the dying, for meetings about finances, for decorating the church at Christmas, for the science fair at the school, for high school sporting events, for Religious Ed classes, for advice, for prayers, for adult education, for youth group, for meetings, for parties, for cookouts, and for everything else that has to do with the lives of the people. People are looking for a relationship with their priest. Everybody is looking for us. It is tempting to look at such a situation and attempt to fix it. To manage expectations. To safeguard ourselves and insulate ourselves from the needs of the people. But, I'm afraid that sometimes we are managing ourselves right out of business. Yes, we need time to pray, to relax, and (gulp) to exercise. But, we exist because everybody is looking for the Good Shepherd and our whole life is meant to respond to that need on the part of the people. Plans that make the priest more remote and obscure are detrimental to the priest and to the people. Whatever plans we put into place for parishes ought to prioritize the availability of priests to be present to their people. That will mean that the people have to make sacrifices. A future plan for parishes should not be that you take one priest and multiply his workload by three or four parishes. A far better plan would be that parishes focus upon how to have more consistent face time with their priest. That might mean that people have to travel ten minutes to another church for a particular Mass or attend a meeting at another parish hall. Instead of having three youth group meetings in three different parishes, you have one. What's one of the benefits of that? The priest is more likely to be able to be present on a more consistent basis. Priests need to be present to the people. But, for that to happen, parishioners have to be willing to sacrifice the "where" and "when" of those encounters. I think that one of the top priorities of pastoral planning is to make the bond between priest and people stronger. Making it weaker would be a huge mistake. In fact, when a parish is left without a strong priestly presence for any length of time, it begins to drift off on its own. It becomes detached from the rest of the Church. The presence of the priest is a visible link to the wider Church. It seems that there are choices confronting the parishes of today. We can opt for a more obscure and remote priesthood where the priest is seen for brief moments and where no true relationship between priest and people develops. Or, we can opt for a model that respects the very beautiful truth that everyone is looking for the shepherd. If we choose the latter, then we build a pastoral plan around making the bond between priest and people stronger. We acknowledge that priests will have to sacrifice more of their time and energy for the sake of the people. And, we acknowledge that the people will have to be willing to sacrifice and be inconvenienced as well. Basically, this model will strengthen the local Church, encourage priestly vocations, and provide the best pastoral headship. Everyone is looking for us. For priests, that is sometimes frustrating. (Like, I'm sure it is for parents). The fact that everyone is looking for us doesn't need to be fixed. What needs to be fixed is anything that hinders priests from responding to the desire of the people. On the part of the priest, that might mean we need to become more generous, more giving of our time, and more willing to get tired. On the part of the people that might mean giving up the expectation that things should stay the same as they always were. Everyone is looking for us. It beats the alternative! Let's not fix the fact that people are looking for priests. Let's fix whatever hinders them from finding us. Why? Because we make visible Christ, the Good Shepherd . . . and he's the one whom they truly seek. I have taken a liking to the additional options for the dismissal at Mass. One of those options says, "Go and announce the Gospel of the Lord." In this imperative, the priest reminds the people that what they have received within the walls of the church must be brought "ad extra;" outside to the world. The good news is that Jesus Christ brings freedom and joy. He brings new life. This is indeed good news and we are compelled to announce it to the world. One of the great blessings of being citizens of the United States is that such freedom to announce the Gospel and to live the gospel is enshrined within our Bill of Rights. In some countries, it is illegal to be a Christian. And, in some places even though it is legal, there are severe restrictions upon how one is permitted to practice his or her faith. A citizen of the United States of America, however, cannot be hindered by the government from following his or her conscience and living their faith outside of the walls of the church building. Well, at least that was true. But now, the noose is being tightened and Catholics are being told to exercise their faith inside the building. Don't try, however, to "Go and announce the Gospel of the Lord" outside of the your designated property. The Obama Administration, has opened a series of fronts against religious freedom. A few weeks ago, high ranking officials in the Administration overruled their own staff people in refusing to award a federal grant to Catholic Charities to assist victims of human trafficking. The grounds for denying the grant is Catholic Charities' refusal to provide abortion services to those individuals. So, despite receiving the recommendation of all of those reviewing the applicants, Catholic Charities was punished for being pro-life. See, it is okay for Catholic Charities to be pro-life inside the church building. But, don't you dare act that way in public. Last week, the Department of Health and Human Services--cynically headed by Kathleen Sebelius, a pro-abortion--self-identified Catholic--mandated that Catholics must violate their consciences with regards to healthcare. Catholic organizations will not be exempted from having to provide abortifacient drugs, sterilization, and contraception in their healthcare plans. And Catholics will be forced to pay for these things as part of their plans. The government is thus mandating that Catholics violate their consciences. Again, it's fine for you to have your religious beliefs. Just don't expect to live them in public. The Church teaches that every human life is sacred. Whenever this teaching is proclaimed, the immediate reply is: "Such teachings will destroy my right to choose" or, "Such teaching will destroy my authority over my body." What is the reality? I have met so many people in my life whose lives have been truly destroyed by the killing of an innocent child in the womb. Yes, the life of the child has been destroyed, but so have the lives of those who were involved. Decades later, the mother is still haunted by the realization that the life which she had the greatest obligation to protect was taken at her command. Abortion destroys. The Gospel of Life saves people from such destruction. The Church teaches that marriage is a permanent union between one man and one woman. The immediate objection is that such demands impinge upon a person's freedom. What is the reality? Are children, families, and society as a whole better because of promiscuity, adultery, and divorce? What the Church proposes doesn't destroy families. It saves them. What Jesus Christ introduces into the world doesn't destroy life. It elevates life. Jesus doesn't destroy freedom. He brings freedom. Jesus teaches with authority because he is the definitive authority on everything. He is God. Wherever Jesus and the truth that he brings is proclaimed, the Evil One accuses him of bringing destruction. But, Jesus doesn't destroy humanity. He saves it. That man in today's gospel had been tormented by the unclean spirit. It was when he encountered Christ that he became truly free. As Catholics, we should not buckle under the pressure of the secular society to stay within our church walls with our faith. We are called to bear witness to the freedom that Christ has given us. We are called to exercise our faith in the public square. We are called actively to resist any and all attempts by those who attempt to silence the Church and who attempt to impose upon us unjust restraints. We are called to defend our religious freedom. It is the unclean spirit of secularism that attempts to link the Gospel with what destroys. This is a diversionary tactic. As Pope John Paul II once said, "Whoever builds a world without God, ends up building a world against man." There is an assault taking place upon our religious freedom. It is intended to silence the voice of the Gospel. There are undoubtedly those Catholics who are ready to surrender on yet another issue of critical importance. Caving in never causes the unclean spirit to be cast out. The approach of capitulation and accommodation is what has brought us to where we are today. No, we must do as the dismissal of Mass commands: Go and announce the Gospel of the Lord. Today's gospel showed that Jesus teaches with authority, casts out evil, and saves man's freedom. And the gospel concluded by saying of Jesus, "His fame spread everywhere." St. Paul often wrote "in chains," but the Word of God cannot be chained. We need to be a Church that proclaims the Gospel boldly whether we are chained by unjust discrimination or not. We mustn't allow the Word to be chained. May someday people say of us, "Because of them, His fame spread everywhere." A few years ago, I had the opportunity to serve as a spiritual director for seminarians and one of the privileges of that assignment was witnessing men who take their life seriously. When a man is considering entering the seminary and when he is actually in the seminary, it is difficult not to take life seriously. There is a persistent and constant awareness that you are called. And, if you are called, that means there is One who is calling. As a spiritual director, it was a privilege to stand with somebody as he sought to understand, obey, and live this call. And, I think that most spiritual directors would admit to a little bit of weariness if a seminarian lacked this sense of awe and engagement in his vocation. Sometimes, I have had parishioners tell me how jealous they are of the fact that a priest has the privilege of spending so much time in the seminary praying and learning about God. And, they are absolutely right! Some people take a year to go and see the world. And, I wouldn't mind being able to do that. But, a seminarian is given 6-8 years to spend entirely focused upon his relationship with God. How awesome is that? This all came to mind because yesterday I spent some time at St. John's Seminary in Brighton, MA. I was happy to see a full house of seminarians, filled with youth, joy, and with seriousness of purpose. It is amazing to think how much Christ is doing on that small plot of land. And it is fantastic to see these men living life in a way that is full and not wasteful. After my visit to the seminary, I had dinner with a young man who is about to be married. As we conversed, I was really moved because I was with somebody who takes life seriously. As I listened to him talk about his life, I thought, "How privileged am I that I should get to be here." When we are surrounded by people who take life seriously, we cannot help but want to do the same. When I talk about seriousness of life, I do not mean ponderousness, excessive introspection, or the repetition of platitudes. I mean persons who see their life as an engagement with the infinite and who are interested in reality. I feel particularly blessed in my life that people still find the priest somebody who is easily approachable in this regard. The priest is a privileged friend to many. I love when I hear from a kid I met when he was in high school and now it is ten years later. Or when, out of the blue, I hear from a person I taught at our parish school a dozen years ago, who calls just to talk about life and its challenges. Or, when a young person today builds up the courage to ask me some question of moral importance; the question being an indication of an openness to treating their life more seriously and also an expression of openness to Christ and the Church. These and many other examples of what a priest is privileged to encounter in his life are sources of great joy. As priests, we are privileged to stand by the side of others as they accept the Lord's invitation to "Go into the deep." Before a man is ordained to the priesthood, he is first ordained as a deacon. It is on the day of his diaconal ordination that a man makes the promise of obedience to his bishop and the promise to remain celibate for the sake of the Kingdom. It is from that day onward that he is bound to pray the Liturgy of the Hours and is given the charge of proclaiming and preaching the Gospel. For me, that ordination as a deacon took place fifteen years ago this morning on the Feast of the Conversion of St. Paul. While most priests probably place a higher emphasis on their priestly ordination date, my diaconal anniversary always has been fairly important to me. In fact, the morning of my diaconal ordination, I was a nervous wreck! I knew that when I arrived at the cathedral and prostrated myself on the ground during the ordination rite, I was putting my whole life--my entire future--on the line. I was called to lay down everything. That prostration, for me, was an act of faith--a voluntary offering of my life. It was an act of dying to myself in the hope that Christ would raise up something much better than what I had offered. It is natural, I think, on an anniversary such as this to examine life and to prostrate back on the floor. It is an opportunity to recall that day fifiteen years ago when in my youth I offered confidently to God my body and my will. It is a moment to recall with gratitude how I was given on that day the Book of the Holy Gospels and commanded to preach the Word. It is definitely a moment to repent. The anniversary of both my diaconal and priesthood ordinations always stir within me sorrow for the countless times when I have failed to live up completely to the call to die entirely to self and to live only for Christ. And, these days stir up in me an enormous gratitude for the great gift that Christ has given to me through no merit of my own. I am particularly grateful that my diaconal ordination anniversary always coincides with the Feast of the Conversion of St. Paul. This coincidence of dates binds me closer to St. Paul and always holds out for me the hope of deeper convesion of life. On the day when we yearly commemorate his falling to the ground and becoming a new man in Christ, I am given the opportunity to return also in my heart and mind to the ground and renew my offering to Christ, trusting in His grace to make all things new. When we have a fall, we never seem to recover fully. The injuries that we receive from a fall always seem to linger. That sprained ankle has never been quite the same. Or, when we fall into sin we experience the effects of those sins for a long time to come. Similarly, St. Paul fell to the ground and he was never the same. He fell in with Christ on that day and became part of the new creation. He wasn't the same. He was better. When St. Paul got up off the ground on the morning of his conversion, his life became infinitely better. On the anniversary of my ordination to the diaconate, I recall that whatever I laid down that morning was a pittance compared to what Christ has given me in return. Sometimes, people say, "priests give up so much," but that is completely false. We lay down our life and Christ gives us something entirely better. And this is true also for every Christian. The more we offer to Christ, the more he raises up something better. Today's feast is a gift that enables us to go into the ground with Christ and St. Paul, trusting that we who enter into a death like Christ's shall surely also enter into a like resurrection. When it comes to priests, not every priestly vocation is identical. Parish priests--even if they have a significant draw towards the monastic life--aren't monks. Similarly, parish priests and missionaries are distinct expressions of the priestly life. Of course, there are always aspects of each expression that inform the others. The life of a monastic in some ways can inform a parish priest about his prayer life. Having a parish priest who is devoted to the Liturgy and to a life of prayer is a good thing. But, a parish priest isn't a monk. A parish priest ought to have a missionary zeal. But, he is not a missionary. When I was first ordained, I lived with a retired missionary priest. His stories of travelling from one village to the next were certainly exciting and there's a little part of me that desires that kind of life. But, I know that is not my vocation. I was called to the diocesan priesthood. Missionaries go to establish the Church in a particular place. But, their goal is not to keep things in that particular state. Their goal is to establish the Church and then allow those communities to solidify and become true local churches with their own clergy. The ideal is not an itinerant priesthood. The ideal is to establish stable communities with stable shepherds. Recently, the parishes in my city have been working together to develop a pastoral plan. This is, in large part, due to a reduction in available clergy. Where the whole thing ends up is not known yet, but, I am struck by the thoughtful way that the laity in the parishes are examining the issues. They are not in favor of models that will increase rivalry and competiveness between parishes. They favor models where people are brought into deeper unity with one another. They do not favor models where their priest(s) will become more remote. They strongly prefer models that strengthen the bond between priest and people. It seems to me (and the discussions are only in the beginning stages) that they prefer models that favor strengthening the communion between priest and people and are far more reticent about models that risk making the parish priest more obscure. One of the major issues confronting dioceses (and thus, parishes) is a shortfall of priestly vocations. Any pastoral plan ought to take into consideration how it will affect priestly vocations. A pastoral plan that makes parish priests more dispensable, interchangeable, and remote will, I think, have a negative impact upon priestly vocations. It would be interesting to do a study of parishes from where seminarians are coming and use that as a basis of pastoral planning. Do parishes that have more priests and that have stability of pastoral leadership produce more vocations or do parishes that have more frequent turnover of priests have more vocations? Do dioceses where priests are spread out more thinly have more priestly vocations or do dioceses with fewer parishes but with more priestly presence in those parishes have more vocations? As you might surmise, I approach these questions with a bias towards particular answers. But, my evidence is only anecdotal. I was raised in a parish that had many priests assigned to it, had stable pastoral leadership and produced many priestly vocations. I'm in a parish now that has four men studying to be ordained (two religious and two diocesan). My bias is to believe that parishes that have stable leadership, good priests and seminarians living and working together, and that have priests who are evidently happy in their vocation produce vocations. I am inclined to think that vocations work in a parish takes time and contact. The more a priest is able to spend time with young people in a parish, the more likely vocations will come from that parish. The more a priest is able to spend time with parish families, visiting classrooms, hearing confessions, and youth events, the more vocations will floursish. I am inclined to think that the less a parish sees of its priest, the less vocations will be produced in that parish. But, I'd be really interested to know what the statistics show. I know that pastoral planning involves many complicated factors. But, it seems that if we are going to do something that will have long-lasting implications, we want to get it right. I'd like to throw this question concerning priestly vocations into the mix. What pastoral plan is most likely to produce more priestly vocations? It seems that's a question for which we need an answer. 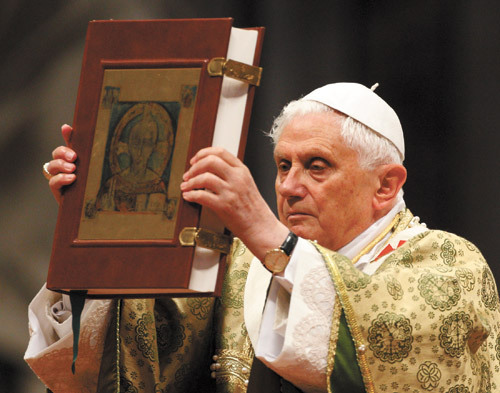 Earlier this week, Pope Benedict XVI addressed the bishops of the United States about "powerful new cultural currents which are not only directly opposed to core moral teachings of the Judeo-Christian tradition, but increasingly hostile to Christianity as such." As if on cue, the Obama administration today announced that it would not allow allow religious organizations to be exempted from providing abortifaicients, sterilization, and contraception from the health plans that they offer to employees and would mandate that every person be forced to buy health plans that include these things. The Obama administration has drastically narrowed what religious organizations would qualify for an exemption. The Obama administration is not satisfied with dismissing religious concerns. It is intent upon suppressing religious freedom. It is not simply about advancing the "pro-choice" agenda. It is about denying choice to any religious organization that attempts to stand in the way of this administration's advancement of intrinsically evil practices. "The seriousness of these threats needs to be clearly appreciated at every level of ecclesial life. Of particular concern are certain attempts being made to limit that most cherished of American freedoms, the freedom of religion. Many of you have pointed out that concerted efforts have been made to deny the right of conscientious objection on the part of Catholic individuals and institutions with regard to cooperation in intrinsically evil practices. Others have spoken to me of a worrying tendency to reduce religious freedom to mere freedom of worship without guarantees of respect for freedom of conscience." No serious and honest assessment of the current state of Catholics' engagement in the political and cultural spheres of life in the United States could claim that we have been even moderately successful in being serious about the threats that confront what the Holy Father calls, "the grave threats to the Church’s public moral witness presented by a radical secularism which finds increasing expression in the political and cultural spheres." For a very long time, Catholics have gone unchallenged in regards to their political activities. It is as though a decision was made somewhere along the line that we could not challenge the political establishment. We have not given consistent witness. The University of Notre Dame honors the president whose administration advocates the most radical pro-abortion agenda ever. "Nothing to see here . . . move along." When some bishops, priests, and lay people protested, they were dismissed by many in the higher echelons of power as being cranks. But, the longer we do not give consistent witness, the more irrelevant we will become. If we were preaching the Gospel of Life and bearing consistent witness to it, people would take notice. But, it becomes far more difficult to be convincing if we have persons in all aspects of ecclesial life who give a wink and a nod to Catholic teaching and then actively support those who rabidly oppose those teachings. What that communicates to the world is "there is some piece of paper somewhere that says Catholics believe this, but we really don't care about that issue so much." In many ways, a perfect storm has developed. We have failed to preach and to teach on serious moral issues to the Catholic Faithful. We have failed to point out clearly that Catholics should be consistent in bearing witness to the Gospel of Life. (No matter how much money somebody donates to the Catholic Church or how much power and influence they wield in the public or private sector, they have the right to be instructed in the Gospel of Life.) 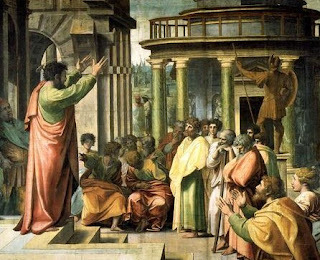 Persons in leadership positions in varying ecclesial structures and institutions publicly support political candidates who oppose the Church on its most fundamental moral truths. Is it any wonder that we have ended up where we are? 1. I don't want to be dismissed as a nut. I mean, how many other priests are speaking about contraception or abortion or marriage? Am I going to be dismissed if I preach on this topic? 2. Am I going to lose the good will of my people? They like me. Is this going to turn them away from me? 3. Will this cause the collection to go down? 4. Will this simply be dismissed as a promotion for one political party over another? 1. Even if the people might disagree about the issue, they respect that I am preaching what the Gospel teaches. Are some people going to dismiss me? Yes. I'd be in good company. 2. My experience has been that the people know that I love them and my willingness to preach on a difficult topic is an expression of my love for them. 3. No, the collection has never suffered. It has gone up. 4. Some might conclude this. They'd be wrong. But, they could conclude it. 1. We could do a much better job preaching about the sanctity of human life, the nature of marriage, and sexual moral issues. Everything the Catholic Church teaches on these matters is so beautiful. Why wouldn't we preach it? Young people are remarkably receptive to the Gospel. 2. We could stop shooting ourselves in the foot by giving prominent positions of prestige and power to those who themselves are on the front lines of advancing an agenda contrary to the Gospel of Life. 3. We could risk a little. Maybe if people saw that we were willing to risk political influence or risk the wrath of some donors, we would be more convincing. And, I'm not suggesting that we pick a fight. I'm just suggesting that we don't cower to the powerful or be so enamored by their influence that we decide to be more low-profile in our witness. Maybe we risk some bad press. The political calculation of trying to "go along to get along" has proven to be an abysmal failure. Every day that it is allowed to continue hurts the mission of the Church more. I was once at a baseball game and two drunks in the row behind me were bothering a man and his son. Instead of standing up to the bullies, the man kept laughing at their insults and pretending like they were all friends. It was pitiful to witness. Finally, the man who was with me at the game stood up and put a stop to their bullying. He acted like a man. In some ways, the Church has allowed herself to be bullied and has tried to pretend that we can still smile and act as though we are not being bullied. It is pitiful to watch. It would be better to fight and to lose than just to sit there and lose. We cannot say that we haven't given the "sit there and see what happens" model a fair go. It has been tried and found desperately wanting. Again, I'm not arguing that we go out and look for a fight. But, it seems as though we've allowed ourselves to be bullied out of the public sphere. In some states, we've been bullied out of adoption services and healthcare. They recently bullied Catholics from their work with the victims of Human Trafficking because we won't promote the Obama Administration's obsession with abortion. Now, we are being bullied into violating our consciences. The goal seems clear: Bully the Church out of everything. In the schoolyard, we can't help it if somebody tries to bully us. But we are electing and funding our bullies. You cannot serve two masters. We should engage the culture and explain why we oppose being bullied into immorality. And we should engage Catholics and explain why supporting the people who bully us really isn't such a great idea. This is not a call to be aggressive or inflammatory. It is a call to engage in a reasonable exhange. Evangelizing the culture sometimes means taking the risk of being unpopular. I bet Jesus would reward us handsomely for taking such a risk. A few years ago, we painted the interior of one of the churches of which I am pastor. The entire church was filled with scaffolding and I spent lots of times crawling over every inch of the church. The project (including a restoration of the Hook and Hastings pipe organ) went flawlessly and the results are definitely pleasing to the eye and to the ear. Being part of such a grand project was definitely a very cool experience and there is something very satisfying in seeing (and hearing) the finished product. When you look at that particular church building, you cannot help but be overwhelmed by its beauty. Sometimes, I think about the pastor who built it and how blessed he was to be part of building something so magnificent. Just the other day, I visited a parish (St. Patrick's in Stoneham, MA) where the pastor oversaw a huge renovation of his church and built a parish center attached to it. I remember thinking, "He ought to be really proud of the work he did here." But, as interesting and important as these types of projects are, they are not at the heart of being a parish priest. Honestly, I rarely walk into my parish church and think, "We did a good job painting this" or, "The restoration of the pipe organ sure sounds great." I suspect that the pastor of St. Patrick's in Stoneham probably doesn't marvel every day about the great job he did. What he probably does marvel at is what a gift he's been given in being a priest. What I most love about my parish churches are the people who fill the pews. There are events in the life of a parish priest that are way beyond cool. They are awesome. Preaching the Gospel . . . awesome. Absolving sinners . . . awesome. Offering Mass . . . awesome. Seeing a new face at Mass . . .awesome. When Jesus uses me as the instrument of drawing somebody closer to Him . . . totally awesome. Carrying the Gospel into the life of someone who is enslaved or burdened and seeing the Gospel set them free . . . what can be better than that? There is nothing more important in the world than Jesus Christ. And we priests are totally set aside to be instruments of Christ. How awesome is that?! There's something that has happened to me many times in my life as a priest. In fact, it happens quite regularly. Sometimes it happens after hearing a confession or after having a conversation with somebody about a particularly difficult moral problem or life situation. It happens after being with somebody as they are dying. It happens when a young person who is confused about life and is searching for meaning seeks me out. It happens whenever I am used as an instrument that brings somebody closer to Christ. It is the experience of thinking, "If that were the only thing I was ever ordained for, it would be enough." I don't know if lots of people have that experience on a regular basis, but I bet most priests do. It is a recognition that this one occasion of being an instrument of Christ is sufficient to give meaning to all of my life. Building, painting, organizing, serving on committees, titles etc . . . all of these things are fine. But, what trumps it all is that we have been entrusted with the very Gospel of Jesus Christ; the Gospel that brings salvation. Being a priest is about Jesus Christ. Jesus Christ is awesome. Being a priest is awesome. Today I visited with some wonderful parishioners and they played for me a CD of King's College Choir singing Anglican chant. The text of one of the psalms really struck me as particularly beautiful. Psalm 122 describes the joy of going up to the temple and the peace of being in the temple. This particular psalm occurs frequently in the Liturgy of the Hours and in the readings of various feasts. What most struck me is verse three. In the Liturgy of the Hours, I recall that the translations says, "Jerusalem is built as a city, strongly compact." When it appears in the readings of Mass, I believe it is translated, "Jerusalem, built as a city, walled round about." The translation in this particular chant--which I presume is drawn from some poetic Anglican translation of the psalms--says, "Jerusalem is built as a city that is at unity in itself." This image of the temple which is fulfilled in the person of Jesus Christ and his body, the Church provides good meat for mediation, especially during this Week of Christian Unity. In a particular way, I look at those words in terms of parish life. A forceful temptation arises within Christian communities whereby people are lured into attaching their hearts to particular programs, ideologies, or ways of doing things. These attachments never bring joy or peace because they create within persons a fear of losing them. I think of this as the Archdiocese of Boston prepares to begin implementing a new pastoral plan. This will inevitably mean that certain aspects of parishes will change. Mass times will change, programs will change, locations will change. Thus, if we expect these things to bring peace and joy, we will likely be disappointed. Our attachment ought to be to our unity in Christ. The temple brings such peace and joy because the tribes are together within it. It brings peace and joy because of its unity. As Catholics, we should rejoice when we go to the house of the Lord because it is in his house--the Church--that we are united in him. We are members of his body and are drawn up into the love of the Blessed Trinity. Through the Eucharist and the other sacraments, we are built up into a city that is at unity in itself. It is to this that we ought to be attached. It is this that brings peace and joy. My very happy experience has been that in parishes where attachment to unity in Christ is proposed and lived, the joy and peace that are met become nearly irresistible. Jesus sent the disciples out two by two and gave them a long list of what not to bring with them. Their success was going to be found in their communion of life. He did not want them attaching undue importance to what was transitory. Their unity in Christ would be sufficient for the mission entrusted to them. In the Acts of the Apostles we read that the community of believers was of one mind and one heart. These words for me are not a fairytale description of a long gone era. They continue to be fulfilled in the life of the Church today. Substituting other things (no matter how good they might be) in place of communion of heart and mind will never work. They will always lead to dissension, rebellion, and bitterness. Those who give themselves over to obeying the grace of unity do not find such obedience oppressive or suffocating. No, when we take courage and go into the house of the Lord, obediently following the hierarchical communion of the Church, we discover that she has been built as a city that is at unity in itself. For those of us living this unity, we can truly say, "I rejoiced when they said unto me, 'Let us go up to the House of the Lord." Maryknoll Seminary. In it's prime, thousands of young seminarians would have studied here and been ordained as missionary priests, serving throughout the world. A few months ago, a family from my first parish came to visit me. By family, I mean two sisters and their brother. All of whom are in the 80's and 90's. Their other brother was a Maryknoll priest with whom I lived during my first assignment as a priest. He had retired by that point in time, but did a lot of work in our parish (where he had grown up and where his family still lives). The reason for their visit was that they wanted to give to me the Mission Cross that was given to Fr. Lawrence Burns before he left for Bolivia in the 1940's. Fr. Lawrence Burns was a great priest. I only knew him long after he had retired from his missionary work. But, for decades, he served in Bolivia. In fact, he was the longtime Apostolic Administrator for a diocese there. I remember he used to say how when he got to Bolivia he didn't speak much Spanish. They gave him a small boat and told him that he would ride the rivers and just stop at villages along the way. He said, "I told them that my Spanish wasn't good". They replied, "Don't worry. You will pick it up as you go along." He said, "I asked them what I would do for food." They replied, "The people will feed you as you go from place to place." He said, "I asked them what should I do if I get sick." They replied, "Whatever you do, don't get sick." Every day that I lived with Larry, he would spend an hour in the Blessed Sacrament Chapel. He was always on his knees praying the Rosary. He loved the Blessed Virgin Mary. I often went to confession to him and he never failed to speak of the Blessed Virgin. He was a great priest. Towards the end of his life, he had an extended hospital stay. When he was released from the hospital, his doctor ordered him to stay home and rest. On his way out of the hospital, Larry ran into a parishioner who mentioned that a family member was in the hospital and would love to receive the Eucharist. Immediately after being dropped off at the rectory by a family member, Larry got the Blessed Sacrament and went back to the hospital. The only way we know that story is because he got caught by his doctor as he was coming off the elevator. He was a priest who loved the Eucharist. He was a great priest. In the last days of his life, I had the opportunity to spend time at his bedside. We'd pray the Rosary. Several times, his sisters and brother were there too. As they prayed the Rosary together, it was obvious that this was something they did often. All in their eighties at the time, I could nonentheless see them as young siblings in their family home praying the Rosary. I could see their parents (whom I never met) raising these fine people in the Catholic Faith. Sometimes when Larry and I would be praying the Rosary in his last days, he would fade in and out of consciousness. He'd say four Hail Marys in the decade or he'd jumble the Our Father and Hail Mary together. I just ignored that. When we finished the Rosary, I was sitting there in silence and he opened his eyes and with a big smile said, "Boy, I think I made a mess out of that Rosary." On one of the last days I visited him, he opened his eyes from an unconcious state and I smiled and said, "Hey Larry." He didn't even acknolwedge me. I think he knew that he kept passing in and out of conciousness and didn't want to waste any time. He immediately asked, "Did you bring the Eucharist with you?" I had brought the Eucharist with me and he received with such serentity and joy. He received as one whose sole desire was to be close to Christ. I was very touched when his family--a decade later--came to give me his Mission Cross. That cross reminds me of a great priest. But, it also reminds me of how personal holiness in the life of the priest is so important. The memory of Fr. Lawrence Burns' holy life, pastoral zeal, and fatherly example continues to call me to be a better priest. The example of holy priests are not only important for the parishioners. Priests who are holy encourage their brother priests to be holy as well. A decade later, one priest's holy example still encourages me. And, I hope it now encourages someone else. When a priest is ordained to the priesthood, he is configured to Christ in a new way. Through the Sacrament of Holy Orders, he is united to Christ as Head and Shepherd of the Church. At the same time, the individual priest is also called to become more conformed to Christ. Through our prayer, devotion, and way of living, we are always to strive to become ever more like Christ, the Good Shepherd. Our way of life is to make Christ, the Good Shepherd present in the midst of the flock entrusted to our care. The priest exists so that the people of today can encounter the Good Shepherd. The more the priest places his head upon the heart of the Good Shepherd and explores the depths of that heart, the better able he is to make visible the presence of the Good Shepherd. One of the unexpected benefits I have gained from blogging about the priesthood is a renewed appreciation for the solitude of priesthood. Yes, I can blog about evangelization, confession, the Mass, Religious Education, parish finances, the scriptures etc. And all of those things are part of parish priesthood and are wonderful. But, the best blogposts about my experience of priesthood are the ones that I can never write. They are encounters between this shepherd and the flock entrusted to his care and they concern the way in which this shepherd knows his sheep. Sometimes, the things that most move me as a priest are the subtle gestures that would go entirely unnoticed by others. It is the squeeze of a hand coming out of Mass which communicates only to me, "Father, things are still difficult, but I'm trying to do better. Thanks for your help." It is the heart-wrenching confession when somebody lays bare their wounds and asks for mercy. It is living in the midst of a people who have revealed to you all manner of weakness and sin and bearing witness to them that the Good Shepherd loves the wounded sheep. It is when a young person who is not particularly near to the Faith strikes up an awkward conversation with me. The subtext being, "I need something more in my life. Will you help me?" As often as they happen, they still surprise me. In these ways, a shepherd comes to know his sheep and the sheep come to know not just the shepherd in their midst. They come to know the Good Shepherd. Part of the reason I began this blog is so that I could convey something of what it is like to be a parish priest; in some way to convey what is in the heart of this priest. But, there are many gestures, conversations, and moments of grace that will never make it to the blogosphere or even to private conversations. Certainly they can be spoken of in generalized ways, but in their specificity, they belong to the intimate prayer of the shepherd with The Shepherd. Not only do these encounters stir up in my heart a profound gratitude to Christ, but they also become the subject of pastoral growth. I turn to the Good Shepherd and beg Him to teach me how to be a good shepherd to these persons. They are not recorded on a blog, but are etched into the heart of the priest and visible only to Christ. There are other professions that guard secrets. But, at some point, the case file or the medical record is sealed, destroyed, or put into a cabinet. But the knowledge that the priest has of his flock is brought to and entrusted to Christ. These events do not terminate in some sealed envelope or even in the priest's grave. They terminates in the eternal heart of Christ. Even if over time the details are forgotten by the priest, they somehow shape his bond with Christ. They are included in every Mass he offers. They are continuously offered to Christ. There is definitely a suffering that comes with this. But, it is not what most people would expect. Often people ask if hearing about particular sins or not being able to talk about what you heard is a suffering. I have not found that ever to be the case. The suffering that I find in this exchange is probably what John Vianney meant when he said, "Were we fully to understand what a priest is on earth, we would die: not of fright but of love." These exchanges between a priest and his people deepen the priest's understanding of what Christ has entrusted to him. He comes to know more and more what it truly means to be united to the Good Shepherd. And in this experience, the priest's heart is filled with a love that is far beyond his natural capacity. Pastoral charity brings with it pastoral suffering. But, this suffering is not something one would ever want to avoid. It is the suffering of knowing that God has poured into our heart what we could never claim rightfully as our own. The more a priest grows in the virtue of pastoral charity, the more he loves with the love of Christ. The more we love with the love of Christ, the more we do what is far beyond our natural capacity. It is this supernatural love poured into our hearts that overwhelms us and little by little brings us to the joyful death of union with the Good Shepherd, a death whereby we can claim with St. Paul, "It is no longer I who live, but Christ who lives in me." In the Gospel today, we heard the account of the four men who carried their neighbor to Jesus on a stretcher. He was paralyzed and could not get himself to where Jesus was. But, because of their intercession, that man encountered Christ and not only was freed from his paralysis, but also from his sins. Those four men are a model for us Catholics. They did not allow the paralysis to keep that man from Christ. They identified the obstacle and then made it possible for him to go to Jesus. In every parish, there are persons who are not able to approach the sacraments or who are not able to approach Jesus. Some are hindered by physical limitations. They are in nursing homes or are home bound. Some are not able to approach the Sacraments because of their marital situation. Some are not able to approach Jesus because they are paralyzed by fear, by the memory of some grievous sin, by laziness, by anger, by stubbornness, by resentment, by pride, by addiction, by enslavement to the flesh, by procrastination, or by a thousand other afflictions. Those who are ill and unable to come to Mass are provided a beautiful gift of being able to receive the Eucharist at home through the visits of priests, deacons, and Extraordinary Ministers of Holy Communion. We recognize what hinders them and then we--like the four men in the Gospel--find a way to bring them to Jesus. It would perhaps be helpful for us to think about those who are paralyzed by other afflictions (like the ones mentioned above) as also being infirm. We can be tempted to grow angry with those who don't go to church. But, perhaps we should be more like the four men in the gospel who identify the affliction and then figure out how a way to help the afflicted. It would have served no purpose if the four men in the gospel stood in front of the paralytic and cajoled him to get up and go to Jesus. He needed help. He needed friendship. Similarly, we need to make it as easy as possible for our brothers and sisters to get to Jesus. To be clear, this can never mean watering down the Gospel or calling good evil and evil good. 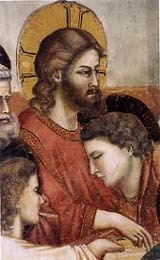 When the paralytic did get to Jesus, he needed to have his sins forgiven. Jesus didn't say to him, "You are perfect just the way you are." Jesus had mercy on the man. Similarly, our goal is to get others to Christ so that they can receive his mercy. But, we ought to make getting them to Jesus as easy as possible. In parishes, we ought to think about who isn't here and then ask ourselves how to make it easy for them to return. We have to be thoughtful and patient about it. If a person, for instance, is angry, then telling her that she is stupid is probably not going to help her get to Jesus. If a person is trapped in some sort of sinful sexual lifestyle, perhaps showing him true friendship will yield better results than drawing a line in the sand. Perhaps when he sees what true love is--when he is brought to Jesus--he will forgo his sinful ways. In fact, in all of these examples, what is most needed is the friendship of the Church. In some way, all of us are on the stretcher and all of us are carrying the stretcher. All of us are hindered in some way or another from fully going to Christ. And, all of us as Catholics are called to help others to find their way to Christ and to receive his loving mercy. I have eight buildings for which I am responsible. That's a lot of roof space! The very thought of the men in today's gospel cutting a hole in the roof makes me tremble. But, it's good to think about what I am willing to do and what I am willing to sacrifice to help others get to Christ. Are we ready to tear the roof off if necessary? Probably like a lot of folks, I sometimes regret that a great many things about the culture are worse now than they were before. Some are the kind of mundane things that aren't earth-shattering. For instance, when I was younger, my mother would take my brothers and I everywhere via mass transportation. And, the rule we learned was simple: If there were a woman or an elderly person without a seat, we gave up our seat. Basically, my brothers and I never never sat down. Men didn't wear hats indoors . . . ever. Gentlemen hold doors open and let others go in first. Then, there are the more notable declines. Mass attendance is down. Catholic schools that once had long waiting lists are closing. Basic catechetical knowledge of the Faith is sorely lacking. I notice it in little ways. For instance, in the old days, if somebody said, "Eternal rest grant unto him O Lord," a chorus would respond, "and let perpetual light shine upon him." Now, when I say that prayer at a graveside, almost nobody answers; just a little sign that there's a decline. I was really blessed when I was growing up that the Catholic school that I attended, Sacred Heart in North Quincy, Massachusetts was really solid in its Catholic identity. Most families who attended the school also attended Mass. We were taught primarily by Sisters of St. Joseph who were definitely of the old school. They had names like Honorius, Benignus, Jude, Conan, Eustolia, Longinus, Romula, Rosamond, Georgita, and others. With names like that, you were guaranteed that you were not getting "Catholic Lite." But, most of my generation of Catholics were probably already suffering from a deficiency of good Catholic teaching. And then, my generation began to teach what we didn't know to a new generation. Our generation--who didn't know much--was put in charge of teaching others. And so, that new generation knows even less. It goes to show, that it doesn't take too long before what took generations to build is reduced beyond recognition. When I first became a priest and would hear confessions of young children, I'd feel awful for them. They'd come in and it was fairly obvious that they had no idea what to do. And I'd have to begin the long process of trying to extract from them some sort of mention of a particular sin. I'd ask, "So, what do you want to confess?" They'd look puzzled. I'd say, "What do you want to tell God you are sorry for?" They'd stare or perhaps shrug their shoulders. Eventually, after I had worked long and hard to help them make some sort of confession, I'd have to ask before I assigned a penance, "Do you know the Hail Mary? No? Okay, how about the Our Father? No? Okay . . . don't worry. That's okay." The staff at our parish school and the staff of our religious education program have done a remarkable job preparing our young people to receive the Sacrament of Penance--which they receive on a regular basis. The students come in, begin their confession, articulate their sins with clarity and with a recognition of what sin actually is, and they express contrition. I've been struck as time has passed by, how well-prepared they are. Last year, a priest was assigned to our parish and I am always happy when he comments on something that he's noticed. Recently, he commented how well-prepared all of the children are when they come to confession. That delighted me. It confirms for me that the hard work that these teachers have done is working. I recently received a note from my Religious Education Director in which she expressed her delight that she too is seeing the hard work pay off. The men and women who teach in her program are people who themselves are trying to grow in the Faith and are constantly seeking to be educated in the Faith. This makes a huge difference. They confront a very difficult situation. Many of their students come to class, but they never go to Mass. Perhaps the only time some of them hear about the Faith is for that hour in their classroom. That can be daunting. And yet, these folks love the Faith and these children so much that they are willing to keep working at it. Many of the teachers that my DRE mentioned are folks who themselves have taken classes to advance their own learning or who read voraciously about the Faith. They are people who attend daily Mass or who come to adoration. The DRE has done a great job by creating a community among the teachers. They are not individuals who are dropped into a room one hour a week and expected to keep the kids entertained. They are a community of teachers who are missioned together. And, they are doing a great job. One thing has become clear to me. All of this takes patience and hard work. The tide is certainly against us. We cannot presume a basic knowledge of the Faith and we have to avoid the temptations of growing angry or impatient about that. I remember the nuns I had in school and how silly I thought so many of their rules were or their making us practice genuflecting repeatedly or forcing us to make the Sign of the Cross just right. But, these little things built a foundation upon which others could build more substantially later. By introducing us to the basics, they made us part of the Catholic culture. They made us capable of feeling at home in a church. We knew to bless ourselves with holy water, to genuflect, to say, "Good Morning Father." We would always know that if we ever were in dire need of spiritual help, we could always go into a confessional and say, "Bless me Father for I have sinned." The challenges are great. In many ways, Religious Education of young people today is not directed at building upon the foundation that was laid by another. Today, Religious Education is about building the foundation. Is this hard work? Absolutely. Do I wish that I could go back in time and be part of a different type of evangelization? Not for a second. Christ has called us to bear witness to Him to the people of today--in the present moment, in their circumstances, in their particular culture. It's totally awesome to think that Christ loves us so much and trusts us so much that He has given us this charge. We are so blessed to be part of the New Evangelization. There are certain things in life that you realize are gifts that you can only appreciate. They cannot be frozen in time nor is there some sort of formula that can be devised that will replicate these gifts. You can only stand in gratitude to God for what He has given and enjoy it. As a pastor, it is a great joy for me to see so many young priests and seminarians gathered in our home. I love the fact that this Christmas season I had to think about how I was going to fit all of our priest and seminarian guests in the rectory. What a great problem that is! I love when I come into the rectory and the parish secretary tells me that some priest guest has arrived unexpectedly. I love to walk into the rectory kitchen and find a couple of seminarians stuffing their faces and talking to one of the high school kids who works at the rectory. I love that the young men and boys of our parish not only know what the definition of a seminarian is, but they actually know real seminarians. They have seen men ordained priests. They have built friendships with these men. It is so great for the people here to encounter so many young priests and seminarians who are joyful and serious in their vocation. The parishioners must see in these young men a great sign of hope for the future. At almost every Mass I offer, I pray that God will continue to raise up priestly vocations from our parishes and from the families in our parishes. God has granted a positive response to this petition in the past and I hope that he will continue to do so. Priestly vocations in a parish are a significant indicator of a parish’s spiritual health. I know that priestly vocations are a serious matter and should not be taken lightly. So, I say this partly in jest: If you have ever played a game with me, you know that I am a little bit competitive. Now that God has blessed the Church in Beverly with so many priestly vocations, I want even more. Recently, a seminarian told me that after he entered into the seminary, many people said to him, “I always thought you’d be a good priest.” Why didn’t they tell him that before??? If you know somebody who you think would be a good priest, tell him. Maybe he is already thinking about it and just needs a little word of encouragement. It’s true that all of these vocations are God’s grace and there’s no formula that guarantees similar results. BUT, we can certainly cooperate with God’s grace. I'm very grateful for what God has done and I know that HE is the one who has done it. BUT, that competitive side of me . . . still wants more. I was on vacation this past week. One evening I was sitting at a restaurant and at the next table were a group of young people, maybe early 20's. They were extraordinarily drunk and looked as though they had been that way for several days and were likely to remain that way for days to come. This wasn't, as best I could tell, a momentary lapse in their otherwise moderate life. It seemed as though this was their life. And, they definitely seemed to be enjoying this life. I mention all of this, not to sit in judgment of these persons, but because seeing them actually helped me to think about the Feast of the Epiphany that we celebrate today. Sometimes, when we see somebody living in a manner that lacks virtue or is excessive in some way or another, we ask, "But is he really happy?" I concluded that if they were confronted about their drunkenness, their promiscuity, and their very public display of hedonism and then were asked, "But are you really happy? ", they would emphatically answer, "YES!" These people were not sitting around thinking to themselves, "Well, deep down I'm really unhappy." None of us really understands how unhappy we are until we find true happiness in Christ. And that recognition only comes to us through a grace given by God. In the Gospel of Epiphany, we are provided with a contrast. We have the Three Magi and we have King Herod. The Magi are given a sign in the star. They see this sign because they were looking up. They obey this sign. Herod too was given gifts. He had the Magi arrive at his doorstep. He had the scribes and scholars to tell him where the Christ was to be born. And, presumably if the star was visible to the Magi, it must also have been visible to Herod. But, he did not see it because he could not look up. Herod's palace must have seemed like the place to be. The powerful and politically important were there. It probably housed not only political power but also illicit pleasures. Perhaps it was the house of lavish parties, excessive behaviors, and egotistical idolatry. Maybe those who passed by the palace walls could hear the sounds from inside and wished that they too could be part of that happy life. But Herod's house had become his tomb. When the Magi heard that Christ was to be born in Bethlehem, they left Herod's palace. When Herod heard that Christ was to be born in Bethlehem, he remained in his palace. The more one gives himself over to darkness and to the passing things of this world, the more imprisoned one becomes by those things. St. Matthew tells us very matter of factually that "after Herod died," Joseph took Mary and the child and came to Nazareth. All of a sudden, Herod who was so powerful, who could orchestrate and order murderous plots . . . he becomes a passing line, "After Herod died . . . ." Herod sought his happiness in transitory things. Those transitory things were one shovel of dirt after another, sealing him in from ever discovering true happiness. On the other hand, the Magi go out and follow the light that they have been given. They come to the manger and discover there what Herod would never discover. The Magi encounter Eternal Love. They encounter what will never pass away. They find God. The Prophet Isaiah says, "Look up." This is all we can do as Christians. We can live our lives looking up. I remember when I was in high school, sometimes some friends and I would goof around by standing on a street corner looking up. Sooner or later, other people would start looking up. Christians look up and hope that others will join them. We cannot force others to look up and see the light. And, even if they've seen the light, we cannot force them to follow. All we can do is bear faithful witness to the light that we've been given. I hope that those young people look up soon. Because whoever follows the light of Faith will come face to face with eternal love. Herod buried himself in passing things until he himself passed along with them. The Magi followed the light and passed into the presence of Eternal Love.